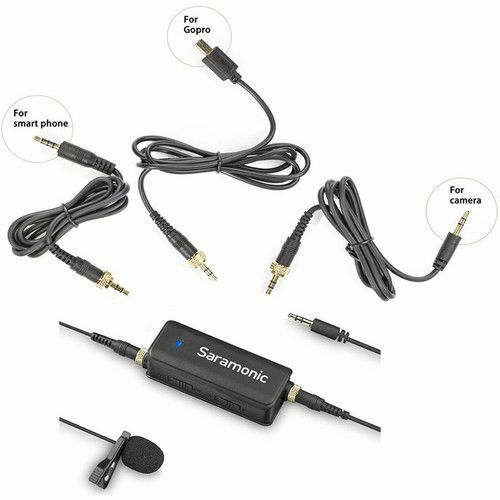 The LavMic Audio Mixer with Lavalier Microphone from Saramonic is an all-in-one solution for recording hands-free audio to your DSLR camera, GoPro or iOS device. It includes a 7.87’ clip-on omnidirectional condenser lavalier microphone, a two channel mini jack audio mixer, and three signal transmission cables. Two 1/8” (3.5mm) mic inputs allow you to select mono or stereo output mode. The headphone jack provides real-time audio monitoring.